It's funny how time can change things. 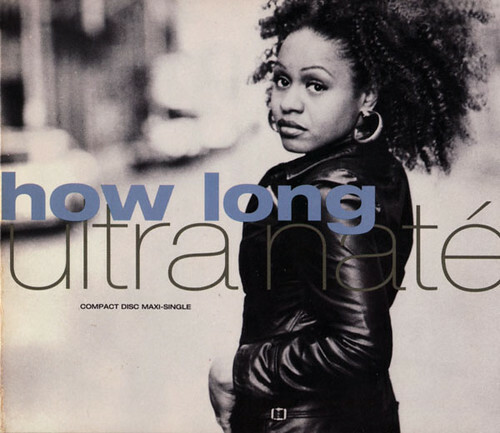 I used to love Ultra Naté, then she did Free, had a huge hit worldwide and - in my opinion - ruined Strictly Rhythm forever, if not house music in general. After Free, every label started scrambling to make the catchiest, most commercial house tune possible. Things were never the same. I bought this CD-single on import when it came out, and it reminds me of the good old days of scouring HMV for U.S. maxi-CDs with loads of mixes on them. This one had over an hour of music on it, with barely anything to throw away. The downtempo mixes are cool, the Fire Island mix went on to be the basis of Ultraflava (hence the name), and with names such as Basement Boys, Nellee Hooper and Mood II Swing how could it not be a classic? When my bag was stolen from a train years ago, this CD was in it. I was so relieved to find a copy again a little later, and if you can, you should too. It's pretty scarce now ($30 on eBay! ).